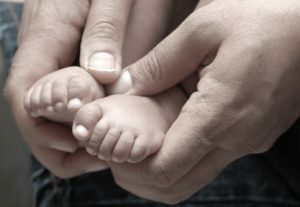 Is it Ok To Take an Infant to See a Chiropractor? ● Help struggling babies to reach developmental milestones like holding head up, sitting up, rolling, over, etc. Is A Chiropractic Adjustment Safe For Infants? The biggest question that we get about infant chiropractic care is whether it is safe for babies. The short answer is yes. In most cases, the baby will not even notice the chiropractic adjustment. Our team is extremely gentle with infants and would never do anything to cause pain. In some cases, you can even hold your baby just like you would normally during an adjustment you may even notice that your baby actually relaxes during the adjustment and sleeps during the entire visit. While a baby is in utero, they are in a very small space and can be in awkward positions for long periods of time. In addition, the birthing process can put significant strain on a baby’s neck and spine. Chiropractic treatment of an infant can make very small, but noticeable adjustments to the spine and neck of an infant that can improve day to day function. It is important to note that not all chiropractors treat infants. 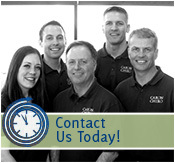 Caron Chiropractic Clinic, PA, of St. Paul, MN, can safely and gently complete chiropractic adjustments for your infant. Chiropractic medicine is a century old practice that uses non-invasive means to restore and improve health. Its tools include manipulation of the joints and surrounding tissue — including muscles, tendons, and nerves — to treat neck and back pain, joint pain, headache, muscle aches, and other health problems. This non-invasive technique can be effective on adults, children as well as infants. If you would like more information or would like to schedule a time to discuss whether your baby might benefit from chiropractic treatment, call us today at 651-255-9999. This entry was posted	on Saturday, May 5th, 2018 at 6:25 pm	and is filed under Chiropractic, Infants, St Paul Chiroprator. You can follow any responses to this entry through the RSS 2.0 feed. You can leave a response, or trackback from your own site.